Are you looking to reach that next level? To get there you need to master the mental game. Rick Sessinghaus is the go to mindset coach for top athletes and entrepreneurs. Now he brings that same training to you. To achieve results, and be at the top of your game you need to understand the mental side of performance. 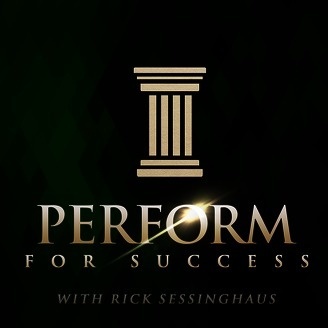 In the Perform For Success podcast, you will learn principles and techniques that go beyond the typical self improvement. Rick will guide you through action steps that are designed to help you gain control of your mental game based on the latest scientific research. Rick’s coaching has helped top junior, collegiate, and professional athletes reach new levels of performance. Rick has also provided seminars and consulting to business teams and leaders improving their bottom line. 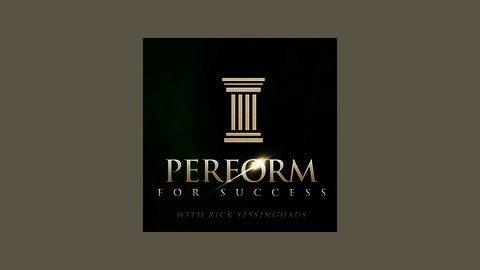 The Perform For Success is a weekly podcast focused on helping you become a high performer in every area of your life. Click subscribe to get a new podcast episode every Thursday.